Miss a local High School game broadcast? No worries! 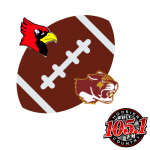 Listen to Greg Murray call each game right here on the HS Football podcast archive page. Two weeks remain in the regular season. 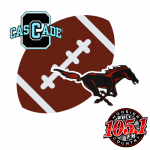 Greg Murray oversees the action as the Cascade High School Cadets visit the Edgewood Mustangs. 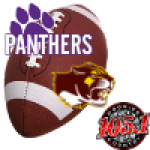 Greg Murray oversees the final game of the regular 2018 season as the Bloomington High School North Cougars host the Southport High School Cardinals. 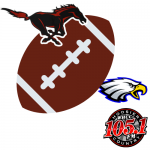 Greg Murray and Josh Eastern call the Battle for the Hoof and Talon as Edgewood High School visits Brown County High School. 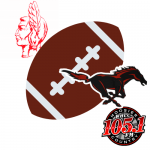 Greg Murray is joined by Josh Eastern to call the action as two 2-0 teams, Indian Creek and Edgewood High School, face off. 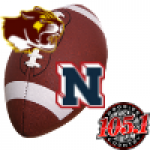 Greg Murray calls the action as Bloomington North travels to Terre Haute North, each hoping to avenge their previous rivalry losses. It's a drizzly day as Bloomington South visits Bloomington North. Greg Murray and Austin Render call the action. 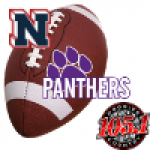 Greg Murray is joined by Austin Render for a rainy-day game as the Terre Haute North Patriots visit the Bloomington South Panthers. 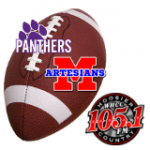 Greg Murray calls the action as the Bloomington South Panthers visit the Martinsville Artesians on a hot August evening.